Lime & Coconut – what a perfect flavour combination. And what a perfect little café Windsor now has. Lime & Coconut Café is housed in a gorgeous old terrace house on the main street of Windsor. It's a little away from the main strip of shops and other cafes located on Windsor's pedestrian mall, (it's closer to the train station end) which I think is a major benefit as you can immerse yourself into the tranquillity of this charming little café. The Lime & Coconut Cafe has been open less than a month and it is obvious that this will be a major draw card for the Windsor area. Lime & Coconut is part café part homewares store. All of the bric a brac items that are displayed around the café are for sale. 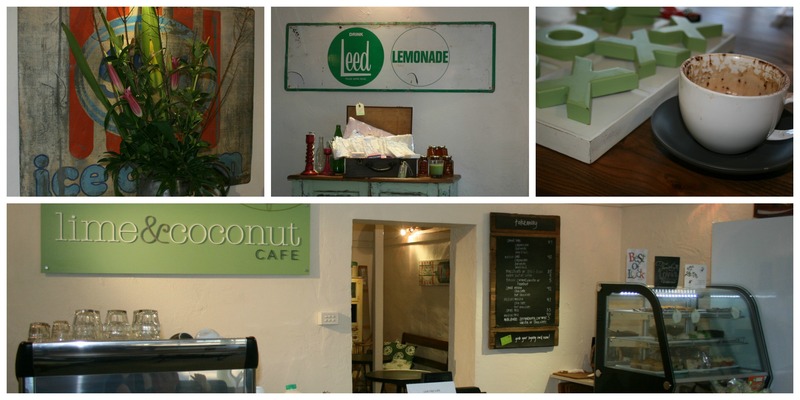 The café and the wares have a recycled vintage feel and of course the lime colour is abundant throughout the interior. The café is divided into two spaces. You walk into the first from the street and at once you are greeted by the friendly owners. In this room there is a communal table and a few lounge seats for you to savour your daily caffeine fix. The service counter with espresso machine and cake display cabinet are also in this room. From here you can walk through into the back room which is more spacious and has an almost lounge room feel to it. There are comfortable sofas and an assortment of tables for you to make yourself at home on. 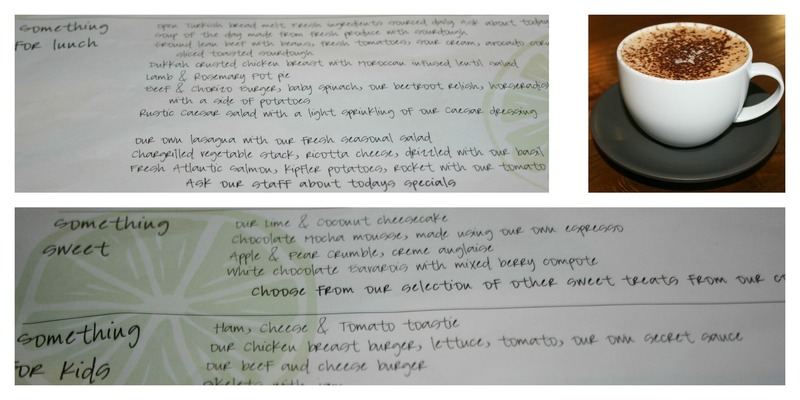 The menu at Lime & Coconut Café is as delicious as its name. We arrived at breakfast time and I was pleased to see that all breakfast items were less than $16.00. I am currently amazed how many cafes in Sydney and its surrounds are now charging $20.00 or more for breakfast menu items. My favourite item on the breakfast menu was the garlic and thyme roasted mushrooms served with locally made goats cheese ($14.00). The balance of flavours was perfect and it was served on two very generous slices of toasted artisan bread. Even the basic toast and jam was generous in its size. For $6.00 you receive four slices of toasted Turkish bread with jam, which fed both of our young sons easily. If you are dining with your little ones at Lime & Coconut Café they serve free babycinos. We sat in the front room of the café and the boys found some retro Phantom comics to read, and once they grew bored of those, the owner very kindly bought a huge wooden noughts and crosses game for them to play with as well as some colouring in pencils. The café opens at 7.00am each day and if your little ones are in the habit of waking at the crack of dawn as mine are, than you will be able to get your well-deserved caffeine fix bright and early. Lime & Coconut café is open for breakfast and lunch each day and they also serve some divine cakes and biscuits for morning and afternoon tea. Of course the speciality of the house should incorporate the key ingredients of lime and coconut and so it does in a heavenly sounding lime and coconut cheesecake. The café uses Bay Coffee beans served in a delightful large ceramic cup and if caffeine isn't your thing than you should try one of their milkshakes served in the cutest recycled milk bottle. The only negative I could find with Lime & Coconut Café was that they didn't have a toilet for patrons to use and the closest is a bit of a hike away. However if you always do as your mother says and go to the toilet before you leave home than you shouldn't find this a problem. 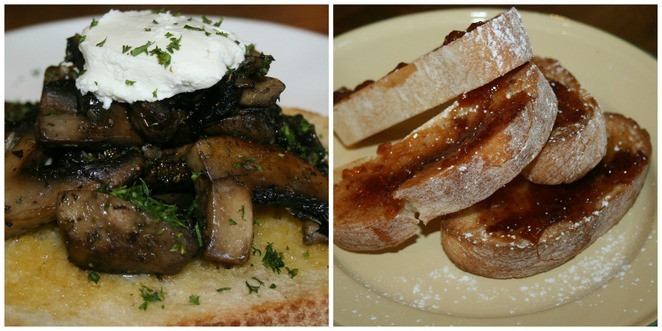 Windsor is very lucky to have Lime & Coconut Café as an addition to its burgeoning café scene. I thoroughly recommend that you make a day trip to the beautiful Hawkesbury area, take a walk along the historic streets of Windsor and stop in for a meal or delicious little morsel at the Lime & Coconut Café. This is one great cafe - the atmosphere is both historic and quaint, with a modern twist! The service is warm and friendly and the tea, coffee and food is delicious! I highly recommend this cafe and I will be going back! Yes! I went here through the week and it is fantastic!!! Charming atmosphere, and gorgeous food with delightful staff. It's in a great possie slightly away from the tourist hub so great for us locals. Lack of a toilet is a bit of a downer in a cafe, other than that it sounds lovely.